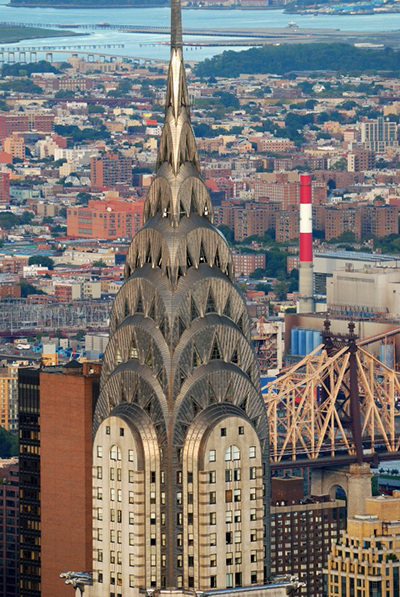 I have just returned from an all too short but wonderful trip to New York City. A few months ago, I was whining to my oldest, dearest friend from childhood – we have known each other since Grade One – that I would “give my back teeth to see Cherry Jones in the Glass Menagerie”. While my back teeth are not very impressive, and would not actually be of value to anyone outside of my head, I did feel it was a grand thing to say, as it would involve a painful extraction on my part. I laughed, she said she was serious. Her partner had enough travel points to get both of us there and back, and four nights in a hotel. I can never thank him enough. So this marvelous woman took me to New York city where, between the two of us we saw six shows in three days (four shows each – we saw two together). And yes, one of them was The Glass Menagerie. With our focus so firmly on getting tickets for, then getting to the performances, it seemed to me we would have little time for anything else. Fortunately for me, New York is my friend’s favorite city. She has been there numerous times, and knows the island’s geography pretty well. I put myself into her capable hands with a “whither thou goest, there will I follow” … with one caveat – at some point, we had to find some chocolate. With three days “on the ground” we hit the island of Manhattan, running … and briskly dodging cars and pedestrians who give no quarter to dawdling out-of-towners. Please don’t mistake me – New Yorkers are incredibly friendly and helpful – you just have to keep to their pace or you will be mowed down. With unlimited transit cards clutched firmly in hand, we made our way to the city below the city and boarded our first subway, heading to the Lower East Side, to pick up half priced theatre tickets at the TKTS South Street Seaport Booth. Sargeant Morello, according to his badge. I wanted nothing more than to follow them off the train so I could hear the rest of the conversation. 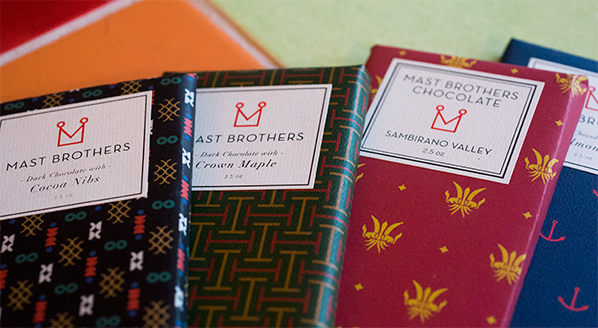 And I couldn’t help but wonder if Sargeant Morello was going to Brooklyn to make a stop at Mast Brothers Chocolate. We just didn’t have enough time, or I would have loved to have taken a tour of their Williamsburg shop and factory. Brothers Rick and Michael source cocoa beans from farms in Madagascar, the Dominican Republic and the Venezuelan Caribbean coast. There are no additives, artificial ingredients or stabilizers in their chocolate, and no dairy products in their single origin bars. This quirky and beautifully shot video gives an idea of the bearded brothers philosophy of chocolate making. Fortunately, their single estate and single origin bean-to-bar chocolate bars are available in many places in Manhattan, and I was able to pick up the gorgeously wrapped (in custom designed thick paper) Artisan Collection later on that day, after an insightful, educational and fun afternoon at the Lower East Side Tenement Museum . For anyone with an interest in family history, this place is a gold mine of information and a chance to see, feel, and experience how people lived a century ago. Well worth a visit, especially on this cold winter day. We parted ways for our respective plays (The Jacksonian for me, and The Last Two People on Earth for my friend), agreeing to meet up afterward in mid-town Manhattan, at Lidia Bastianich and Mario Batali’s 50,000 square foot food emporium, Eataly. Visiting Eataly is “like going to Italy without the flight” according to their website. With seven restaurants on the premises, as well as a city block’s worth of artisanal and fresh groceries, we gazed about like two kids in a candy store, wolfed down a delicious plate of pasta (at La Pizza & La Pasta) while my friend had an impassioned discussion about balsamic vinegar with a young New Yorker. Since they were closing, we made plans to come back the next morning for breakfast. The next morning, at Caffe Vergnano, we drank sumptuous hot chocolate spiked with espresso and munched some tasty pastries before strolling down the chocolate aisles, conveniently located just behind us. 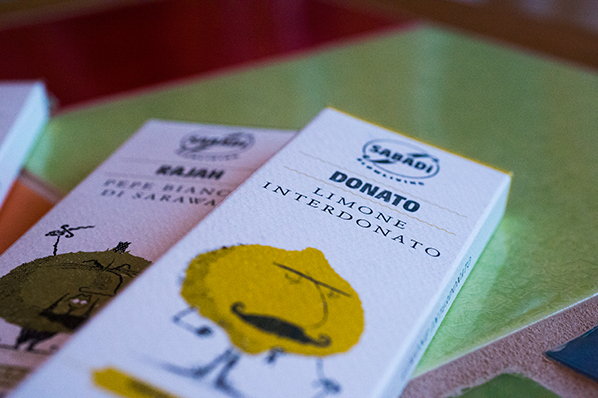 There, amidst the huge Christmas selection of giandujas and torrones, I spotted some unusual chocolate bars, sporting character mascots with names like Donato, Rajah and Nella. 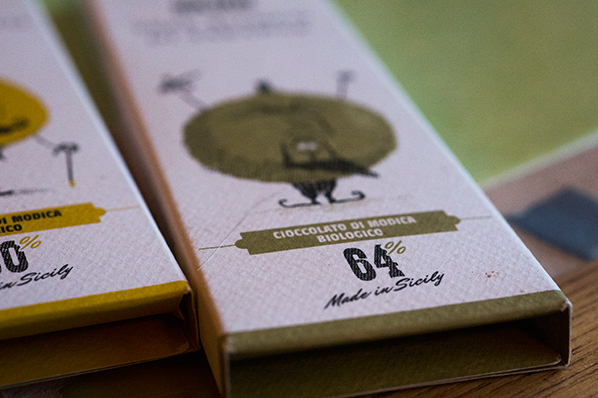 Made in Sicily, they are from a company called Sabadi and refer to themselves as Organic Modica Chocolate. Hmm, I will be very interested to try these. I think they will travel well, as each one comes in its own cardboard sleeve. This was our matinee and evening show day, so after a morning spent browsing, munching, picking up cookbooks and a delicious lunch at La Piazza, sampling fresh mozzarella, bread fresh from the wood oven, a selection of cheeses, and a really good fish sandwich “as big as my arm”, and wishing we could stay to take part in an on-site cooking class, we regretfully left Eataly and parted for our shows. At curtain call, when I leaped to my feet, applauding wildly with tears streaming down my face, she pressed a tissue into my hand and squeezed my arm. I ran all the way up to Rockefeller Center to meet my friend under the big Christmas tree (Winnie was worried I would never find her), my feet hardly touching the pavement, and when she called my name, I charged over to her and threw my arms around her. She smiled her wise smile. We watched the skaters (someone proposed to his girlfriend at centre ice), went for a delicious Vegan dinner at the Peacefood Café, then made our way to see Sir Ian McKellen and Sir Patrick Stewart in Harold Pinter’s No Man’s Land. My friend has an infectious laugh and I swear Sir Ian’s bright eyes scanned over us just a moment (mid-speech) to check out the laughing lady in the second row. Brilliant, funny, cheeky, gorgeous performances – they were having such a good time, together. Next morning, our final day in the Big Apple, dawned crisp, bright and clear, and we headed for the Upper West Side, taking in the Frick Collection to see the exhibition of Dutch masters, including Vermeer’s Girl with a Pearl Earring, and then on to a fabulous afternoon at the lion flanked main branch of the New York Public Library. We stayed so long in the Why Children’s Books Matter exhibition, that my friend was almost locked in, then WAS locked out of the library itself, while she waited for me at the front door. 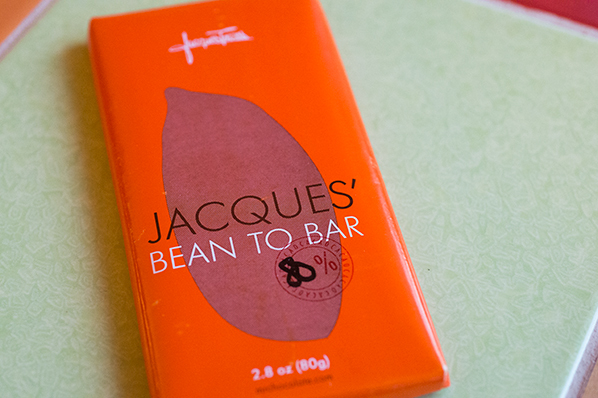 Earlier that day, we stopped in at Jacques Torres Amsterdam Avenue store, one of five scattered around the city. Known as “Mr. Chocolate”, Jacques Torres was the youngest ever pastry chef to earn the prestigious and ridiculously difficult to achieve MOF (Meilleur Ouvrier de France) in pastry. Opening his first chocolate factory and workshop in 2000 in the DUMBO (Down Under the Manhattan Bridge Overpass) neighbourhood, he has since opened four more outlets, each featuring fresh, authentic and handmade artisan chocolates using only all natural ingredients. Our first stop is the hot chocolate bar. My friend orders herself a Wicked Hot Chocolate, featuring allspice, cinnamon, ground ancho chili peppers, and smoked, ground chipotle chili peppers while I browse the selection of bon bons. As I am munching on a tart lemon ganache/dark chocolate hand dipped palette shaped square, a couple looks at me expectantly. Her husband regards me with some surprise. A white chocolate/strawberry palette with a sweet little ladybug transfer sheet design on top. I think it is darling. They look a little taken aback. Once their eyebrows drop back into place, they look at each other and scoot in close to me. We spent the next twenty minutes in happy consultation, putting together a lovely box of 25 bon bons for the lucky Parisian, while my friend strolled around the shop, gazing at the beautiful gift baskets. 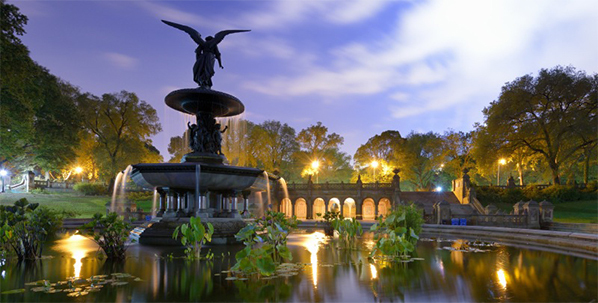 I come away from the store with some Jacques’ Bean To Bar 80% bars safely stashed in my purse, feeling good about a job well done and we set out for a long walk through beautiful Central Park, to the iconic Bethesda Terrace and the Angel of the Waters Fountain. Standing in front of that famous lady, her bronze hand spread in blessing over the waters below, with her attendants representing purity, temperance, peace, and health and listening to the sweet voice carolers singing in the terrace behind me, I felt how lucky I was to be here in this magical city with this most special of friends. A Happy, peace filled and healthy New Year to everyone. Note: I haven’t even tried the chocolate bars, yet due to Christmas over-indulgence. But I promise I will give a mini-review of them next time.